Has the Near-Death Experience Been Debunked? The headline of a September 12 article at the Scientific American website reads, “Peace of Mind: Near-Death Experiences Now Found to Have Scientific Explanation.” The writer, Charles Q. Choi quotes neuroscientist Dean Mobbs of the University of Cambridge as saying that “many of the phenomena associated with near-death experiences can be biologically explained.” He also references an article by Caroline Watt, whose mission seems to be to “demystify” the NDE and other psychic phenomena. I don’t think there is anything really new in Choi’s article. Scientific fundamentalists have been offering mechanistic explanations for various features of the NDE for years now. And while the headline of the article suggests that an important discovery has been made, leading the uninformed reader to infer that the spiritual aspect of NDEs has been totally debunked, the explanations given are of the “possible” and “might be” kind. As examples of the “possible” and “might be” explanations, it is stated that that reliving moments of one’s life “might be” the result of a stress hormone being released in high levels during trauma. Meeting deceased loved ones might be similar to Parkinson’s disease patients seeing ghosts as a result of abnormal functioning of dopamine, a neurotransmitter that can evoke hallucinations. But let’s assume that there is a link between these things and the NDE. Does that debunk the spiritual implications of the NDE? It seems to me that it just explains the trigger of the NDE. If there is some intelligent design behind the spiritual component of the NDE, why wouldn’t it have a biological trigger? Shouldn’t we expect some kind of biological release mechanism in the separation of the physical body and the spirit body? A bullet becomes independent of the gun after the firing mechanism is effectuated, but the firing mechanism of the gun doesn’t explain the damage done by the bullet. During the mid-1800s, when the early form of spirit communication was by means of raps coming through a table or from some mysterious place around the sitters (one rap for “no,” three for “yes,” one rap for each letter of the alphabet), Michael Faraday, a renowned scientist, concluded that the raps were simply the result of the “medium” being able to slip her toe joints and make cracking sounds. Apparently, many scientific fundamentalists of the era accepted Faraday’s explanation and had a good laugh. Yet, many astute observers of the raps said that the raps were so loud that they sometimes shook the house. Moreover, the “toe joint cracking” theory did not explain how the medium got the evidential information that was coming through to the sitters. Of course, the pseudoskeptical scientists concluded that the medium did a lot of research beforehand. Faraday finally said that he had too many important things to do to waste his time in investigating such phenomena. Thomas Huxley, another famous scientist of the 1800s, said that even if it were all true, it would not interest him. Sir David Brewster, still another leading scientist of the era, claimed that various phenomena he had witnessed with medium D. D. Home, including levitations, were “impossible” and so they could only be the result of some imposture that he, not being a magician, could not understand. What might be called “Faraday-Huxley Syndrome” and “Brewster Syndrome” persist today in mainstream science. In the September/October issue of Explore magazine, Mark Leary, a professor of psychology and neuroscience at Duke University, examines the current resistance of some scientists to paranormal phenomena The article is titled “Why are (Some) Scientists So Opposed to Parapsychology?” Leary begins by pointing out that many of the pioneers of psychical research were noted scientists of their time and that they all were professionally attacked and personally ridiculed by those who viewed their work as misguided and opposed to a progressive society. Richet was one of many scientists to observe ectoplasm, a substance that flows from some mediums and gives rise to physical phenomena. “If one reflects upon the many confirmations to which the ectoplasma of Eusapia (Paladino) have given place, one is astonished to see the doubts that they have provoked,” Richet wrote. “Scientists of all countries, France and Italy, the United States and England, Germany and Russia, Holland and Spain have turned her about, this poor Eusapia, in every manner, and they have all, finally, if they have prolonged their study at all, concluded that these phenomena were authentic.” Richet went on to say that to deny various psychic phenomena is “to lower oneself.” Yet, few mainstream scientists of today will admit to the reality of ectoplasm. They write it off as nothing more than cheesecloth regurgitated by some tricksters posing as mediums. No doubt there were such tricksters, but to jump to the conclusion that all ectoplasm was cheesecloth regurgitated is to view the subject with a very closed mind. Although fully accepting such psychic phenomena, Richet was reluctant to admit that they were the result of spirit operation. He admitted that it was a possibility, but said, somewhat indirectly, that he feared for his reputation if he were to give support to the spirit hypothesis. Thus, Richet preferred to see it as the workings of the subconscious which science could not yet understand. As Leary sees it, not much has changed since the days of Crookes, Richet, Ochorowicz and Lodge. While a small group of researchers continue to investigate psychic matter, many other scientists remain disdainful. Much of the resistance, he says, “has a tenor that is rarely heard in other scientific circles, involving caustic, dismissive attacks on not only the research but also on the researchers themselves.” Leary believes the resistance and closed-mindedness is a result of parapsychology falling outside the scope of more strict and pure science, a failure by the critics to understand the mechanism, a tendency for the critics to associate psychical research and parapsychology with religion and occult beliefs, and fear and discomfort with uncertainty. Will Simon Cowell Regret His “Insurance Policy”? 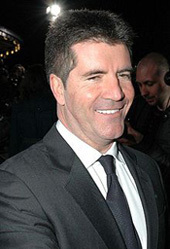 According to a recent Web report, Simon Cowell, (below) the popular American Idol and X-Factor judge, wants his body frozen by cryogenics upon his death. He was quoted as saying that he sees it “basically as an insurance policy” that might pay off in about 300 years when science figures out how to restore life to a human body. I think it goes without saying that anyone who opts for cryogenics is a pure materialist and philistine, fearing death and not believing that he will “live on” in a greater reality. As Cowell appears to see it, he has nothing to lose beyond the cost of the cryogenics, and since he is obviously a very rich man that is of little or no concern. In other words, if science doesn’t figure out how to restore bodies to life, he will, in his view, be no worse off than if he had chosen burial or cremation. Since Cowell apparently has made up his mind that life is nothing but a march into an abyss of nothingness, it is unlikely that he is open to various messages purportedly coming to us from the spirit world which say that magnetic currents can hold the spirit body close to the physical body after death and that separation can be expedited somewhat by speedy disposal of the physical body, as with cremation. If these messages are credible, and I believe they are, Cowell’s “insurance policy” could turn out to be the worst investment of his life, as his frozen remains may keep him in an “earthbound” condition for a long time, however time is measured in that realm. 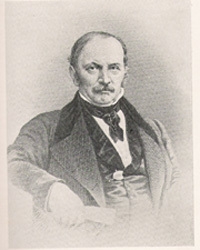 Kardec likened the “earthbound” condition to somnambulism, as in sleepwalking, when the somnambulist who is thrown into a magnetic sleep cannot believe that he is not awake. “Sleep, according to their idea of it, is synonymous with suspension of the perceptive faculties, and as they think freely, and see, they appear to themselves not to be asleep,” he further explained. Silver Birch, the eloquent and apparently “high” spirit who spoke through the entranced British medium Maurice Barbanell for some 50 years, was asked if cremation is the preferred method of disposal. “Yes, always, because essentially it has the effect of putting an end to the idea that the spirit is the physical body,” he replied. “By the use of fire, all forms are dissolved; the quicker the human physical vehicle is destroyed, the quicker is its hold upon the withdrawing soul broken,” medium and mystic Alice A. Bailey recorded, adding that the etheric body is apt to linger for a long time on the ‘field of emanation’ when the physical body is interred, and it will frequently persist until the physical body has completely decayed. Since cryogenics prevents decay, one can only agonize at how long the spirit might be stuck in the earthbound condition, perhaps puzzled at why other frozen bodies are not speaking with him. As I discern the messages, the non-believer who rejects the idea of an afterlife out of intellectual pride or arrogance is much more likely to be earthbound than the person who is shut off from all enlightenment and does not have the opportunity to open his mind to it. The non-believer’s earthbound condition is not the result of an angry and jealous God (“How dare you not believe in Me! You are hereby assigned to the mezzanine level where you will suffer for not believing in Me.”), but a matter of how much “light” the person lets in during his lifetime. If he arrogantly permits his intellect and ego to block the light, then darkness is the result. We are who we make ourselves. We are beings of light to the extent that we absorb the light. We create our own reality. Hopefully, Simon Cowell will liberate his ego, open his mind, and let in some light before he transitions, thereby abandoning his plan to “live on” through cryogenics and “live on” in true reality.